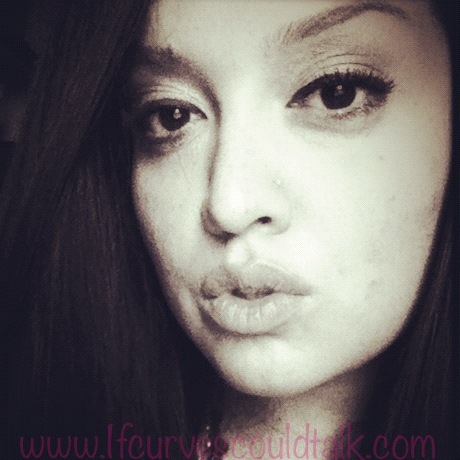 If Curves Could Talk: Saturday's with Stef: Where's my Life Vest....? Saturday's with Stef: Where's my Life Vest....? I'm not in a good spot internally. I find myself crying, helpless and exhausted...not to mention hungry. This week has been a BIG reality check that maybe I am a loser. Maybe I have lagged it on my end despite the many successes I have had in my life. This may never happen to me. Maybe I just have to accept that this dream is JUST A DREAM and all it ever will be. Sometimes I think, "If a drug addict couldnt handle me, what makes me think a sober man could?" I feel like my world is falling apart, things I cannot discuss at this moment, but I had to make BIG decisions. I decided I am taking a break from school to find a FULL-TIME job, on top of my advertising job and what little money I get here and there from different writing gigs. Why? I HAVE TO. It's a matter of MY LIFE now. I'm 26 and I cant keep floating through life being "just okay" with being broke, living with my parents, and living an average life. Something was said to me that REALLY stuck a cord with me. "When you leave your life in someone Else's hands, you have no options." It's been like this MY WHOLE life. I have left my life in someones Else's hands because they are the bread-winner. Whatever they said goes because they have the money. Where as I don't. This has been a pattern that I NEED to break and the sad truth I need to face. Sometimes I wonder what I did wrong in life. Where did I take the wrong turn and those who hurt me got to be happy while I got stuck picking up the pieces. I know I'm not perfect. Sometimes I am too demanding. Sometimes I am too sensitive. Sometimes I add colors to spice the picture up. Other times I don't say nothing at all and bite my tongue in fear of rejection. I get impatient. I make mistakes. Sometimes I have NO filter and say things that tend to sting others. Sometimes I am bold and daring and think I am effing amazing...and there are times when I feel inadequate. Times I feel so fragile like glass. Heaven knows I mean well...I really do. But at the end of the day, I am me. What you see, is what you LITERALLY get. No hidden agendas, no poker faces (because I can never keep a straight face). Unlike the rest, I am not here to impress and I often think with my head and not with my heart. Maybe that's where I am going wrong. For so long I have thought with my head and not fully with my heart. Either way, its time I start...Time to make some changes. I want my own place and all the goodness life has to offer me. I think I deserve it and I am so tired of not having options because I left my life in someone Else's hands for the mere fact I lack a few funds and a few life experiences. As I told you, I feel like I am drowning. ...okay, I am finish pontificatin'... because there are times where a person needs to feel the pain, so to speak... but after you are down, get back on track and make your life happen..! Stef, this moment may just be a challenge you have to face to be able go on with the fabulous positive spirit you have had for one year. "ain' no mountain high enough"
Your post struck a cord with me because I'm feeling the same feeling lost and like a loser lately. It might explain my funk. From what I've learned from your blog, is that you are a strong and beautiful woman with a good head on your shoulders. You will not sink. You will succeed. This is pretty much how I've been feeling lately. But you don't have to completely quit school. Take an online class. For me the only thing that makes me feel good about myself lately is finishing something that I didn't think I could do. My degree, a workout, starting a blog. These little things make my day right now when I feel like I've hit bottom. Think of how you feel when you loose a pound or pass a test. Stef honey I wish they was something I could write to you that's going to make you feel better but my only advice that I do have for you is that unfortunately you're not alone. We all as human beings go through situations like this or experienced those defeated feelings at some point of our lives. Just pick yourself up, dust yourself, clean up your tears and move on doll. You'll find happiness when you least expect it and the right guy will just magically appear in your life..I know at this moment doesn't feel like it but trust me you will gorgeous. Feel better doll and always keep your head up. It is perfectly okay to take a few moments in your busy life to feel absolutely craptastic! That's part of being human. An addict didn't want to be with you because he wasn't happy with himself, in the worst possible way! Take care of you, be happy with you and the rest will fall into place. Don't let others determine your satiety with your life. I am 33 and in school for a new career. If you had asked me 10 years ago if I would be here at this point, I would've said, "Hell no!" Take a break, re-assess, re-fresh, re-focus. Turn another page. Do what is best for you and don't listen to ANYONE who doesn't have your best interest at heart! Just because you haven't found your life's partner yet does not mean that he isn't out there. He's probably looking just as hard for you! Surround yourself with positivity. Keep surrounding yourself with positive images, poetry, art, etc. And keep writing no matter what. Life can be overwhelming for many of us, but you seem to have already taken amazing steps toward transforming yourself. Stay strong. Peace, love and blessings to you.